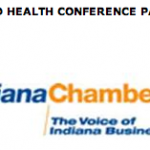 2012 Indiana Safety and Health Conference & Expo: Come see us! This years 2012 Indiana Safety and Health Conference & Expo includes diverse educational tracks, national speakers and the most current safety and health industry information will be highlighted at the Conference, March 12-14, 2012: 7:00AM – 5:00PM, being held at the Indianapolis Marriott East. Indy Car driver Davey Hamilton and Mike King, voice of the IMS Radio Network, will set the pace for a great conference! The three-day event draws over 70 exhibitors and offers more than 50 courses with a variety of education tracks. Among them: construction safety; occupational health, industrial hygiene; worker’s compensation and ergonomic safety; safety management practices; and safety fundamentals. Course information is designed to benefit safety managers/directors, industrial hygienists, contractors, plant managers, safety engineers, human resources managers, maintenance supervisors and other related personnel. Join Custom Protect Ear at the 2012 Indiana Safety and Health Conference & Expo on March 12-14, 2012 at the Indianapolis Marriott East. “I had a great time meeting other peers and sharing ideas! I gained beneficial knowledge I can take back to my employees. And the participating vendors were great assets regarding the latest products and technology available to improve safety for each of our industries.” – Tim Roberts, Farbest Foods, Inc.
“I’m very pleased with the top notch speakers and quality of safety information. I’m pleased with the information to take back to our company and share with our employees.” – Karmen L. Glaspy, Corporate Safety and Training Manager, Syndicate Sales, Inc. Here is a preview from 2010.